All was normal at the Forest Department in Ferozabad, India until the phone rang on Tuesday. On the line was a panicked voice saying they'd discovered something terrifying in a spare room of their home: A fully grown male leopard. 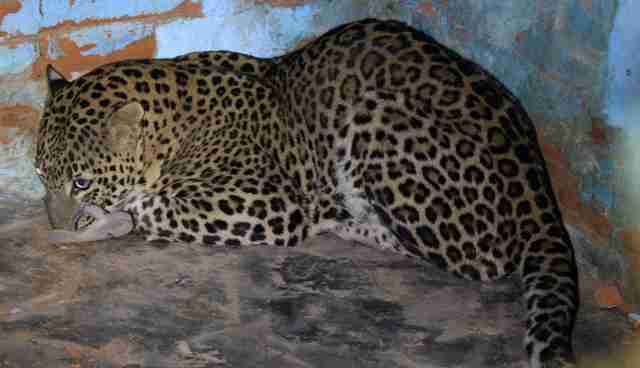 The Forest Department contacted Wildlife SOS and a rescue team hurried to the house. "The room had been secured and the team got to work controlling the people that had gathered," Dr. Ilayaraja, senior veterinary officer, said in a press release. 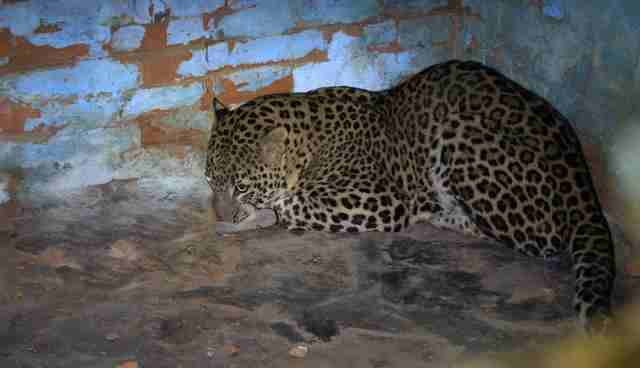 People stood in an adjoining room and knocked a brick out of the wall to safely spot the leopard. Through the chink, rescuers shot a tranquilizing dart at the wild squatter. 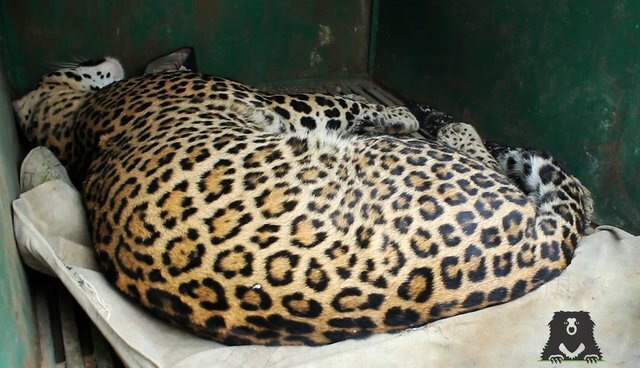 "We tranquilized the leopard through the opening in the wall, and were able to safely enter the room once it was unconscious," Arun A. Sha, chief veterinary officer, said. 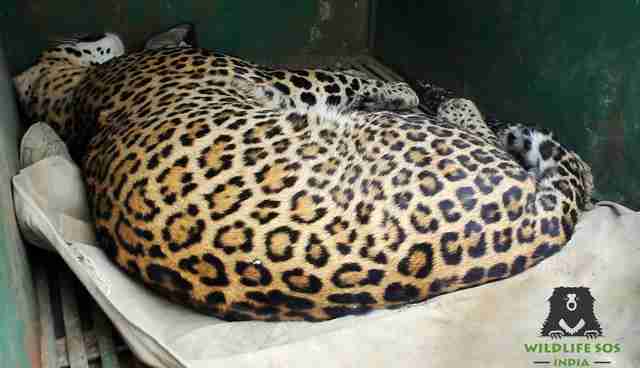 After a preliminary examination, the leopard was found to be in perfect health, and was loaded onto the rescue vehicle. After a brief observation period to ensure he's ready, the leopard will be released back to his natural habitat, where he belongs. This isn't the first time a family has been surprised by such a visitor. Read another story here.